Numerous rumors have recently been spread about the new smartphone by Apple. Despite the fact that the actual form factor and the confirmed size of an iPhone 5 are still unknown, there is one thing we know for sure by now - Apple is working on adding a 19-pin port to the upcoming iPhone, replacing the current 30-pin port that is present with each and every previous smartphones by Apple. Regarded as a “move that will surely send shocks through the iPhone accessory ecosystem”, the decision of the resized connector is said to be made due to several reasons, one of which is a free space it will create both externally, and inside the device too. Despite the fact that there is no single official word about the change by Apple, some reputable sources have independently verified that Apple’s 30-pin ports have been the standard since Apple released the third generation iPod, will now be replaced by a smaller one. 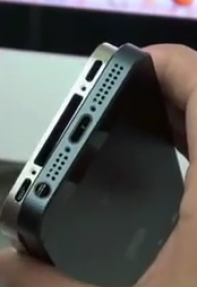 The bases of these rumors are the multiple photos and videos spread over the web recently, and the confirmation by three independent manufacturers, claiming that the pin-out will be different in iPhone 5. They all agree that the 19-pin dock port is in the development and various accessory producers are fronting an uneasy few months as they wait for certified news of the standard to be declared. However, what still remains to be seen is whether Apple will include LTE, NFC, more battery to power the bigger screen or any other improvement with a bit more room inside due to a resized connector. What do you think the Cupertino Company will occupy the extra space with? Do not hesitate to have your say below in the comments.